MediaMonkey - download in one click. Virus free. Download the latest version of MediaMonkey for Windows 10 with just one click, without registration. It comes with a safe official offline installer for MediaMonkey for Windows 10. MediaMonkey is one of those programs that sound cute when you say the name, but in reality are quite serious in providing you with the comfort and functionality you've come to expect of more "serious" names. 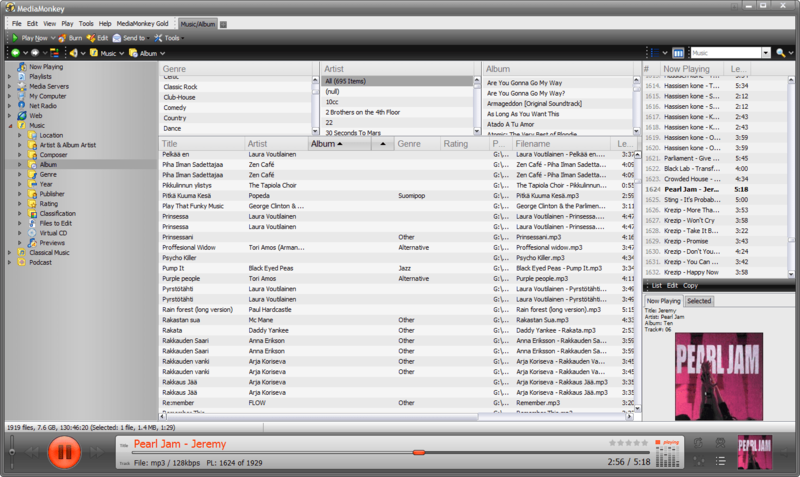 MediaMonkey is both a media player and a data library organizer for media files such as music and, with a little help from various plugins, video. The program is highly customizable, but its core functionality remains the same. It lets users manage great numbers of music and video files via a simple and easy-to-use interface that prevents them from mixing any entries up, and the process itself flows uninterrupted and not slowed down by handling large quantities of files. Users can view and tag the files accessed by MediaMonkey, sorting files into albums, adding art, lyrics and other metadata to their music. There's always the option to assign a specific genre, normalize loudness and even create playlists of specific purpose (Party mode, DJ mode, etc). MediaMonkey for Windows 10 supports such formats as MP3s, M4A, OGG, FLAC, WMA, MP4, AVI, and WMV, also allowing users to convert files to any of those formats for comfortable access. Video conversion is available as well if proper plugins are installed. 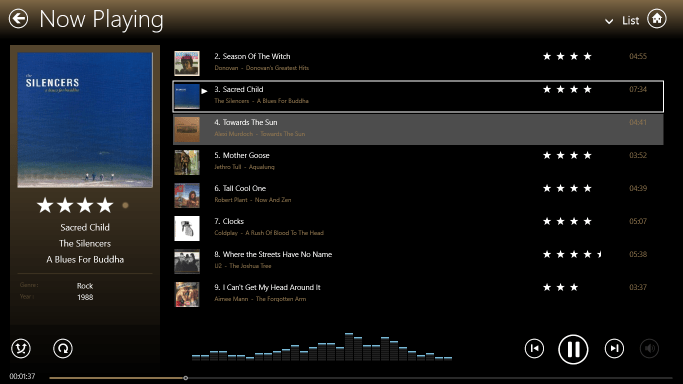 The program's functionality also includes downloading music and video, as well as creating music CDs. MediaMonkey can work with Wi-Fi connection and syncs to your iPhone of Android device, should you wish to access your media library from it. It's a highly functional, very flexible and overall extremely pleasant to use application that is definitely worth checking out.